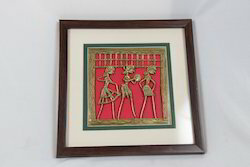 Dokhara Painting 5x8 Double Frame offered by us is an ethnic brass craft originating in the eastern parts of India, which is produced by tribal craft society. We make use of handmade lost-wax techniques to produce dhokra brass metal crafts that can be availed in net and figure forms. 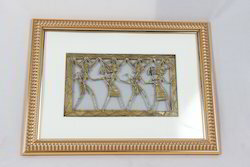 In this range, we offer various gift forms to create photo frames, jewelry and figures, among others. 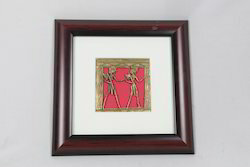 Dokhara Painting 4x4 Double Frame we offer is beautifully painted and framed exclusively by our skilled craftsmen, using precision paint brush and colorfast colors. Ideally preferred for gifting and decoration purposes, these frames reflect perfect combination of traditional and contemporary looks. Our products are adorned with rich and vibrant colors, thus adding an eye-catching appeal to the same. Looking for Dokhara Art ?